In the last times, in some countries, there is much social pressure, many times coming from public institutions and governments, other times from private institutions, to license everything people create under a CC license. This is sometimes good, and sometimes it isn't. This article explains when it's good and criticizes the use of CC licenses for texts in websites and blogs. Then, after this simple example, we examine the consequences for 3D models under a CC license, and the economical consequences for content creators of the abuse of CC. 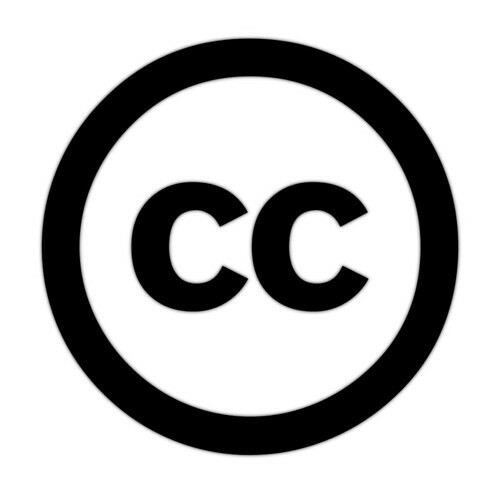 Creative Commons was created to share software documentation, as you can read here. For example, a manual about Linux, that can benefit of being a collaborative work. That way, anyone using that software or project can extend the documents and manuals with his/her knowledge, so everyone benefits. Software documentation of open source software, community works, and other documents that need to be shared between non-profit organizations of people. Images, desktop wallpapers, icons, and clipart, when the author wants to get a wide diffusion of his/her work. Some excellent photographers license with CC some part of their work. They release some of them in low resolution for use in Internet as CC, but may sell big resolution copies under a non-exclusive contract. Music if your primary financial source are concerts, and you don't have the support of a music company or marketing associate. Jamendo is an example of this kind of sharing. This way music bands and authors that may otherwise not make any concert and get no money in their life get to be known by a mass public, that go to their concerts and maybe pay the bills. Manifests for altruist causes like I Want Peace In The World, etc. Some articles or parts of a website or blog if you want them to be copied over and over and not just referenced by a link (e. g. a press release). These are excellent uses for Creative Commons License. Specially when used as a promotion tool for image creators (designers, photographers). But Licensing ALL the text content of a blog or website with Creative Commons is a rotund act of stupidity that harms the Internet, and we all are suffering the consequences right now. I will explain why. What does Creative Commons allow you to do? By using Creative Commons License, you always allow people to copy the entire contents of your posts, and without modifications. They must say that you are the author, and link to the original source. Commercial use can be allowed or not. You can also allow them to make derivative works based on it. This means from changing a word or line to changing or adding several parts of your documents. These derivative works can be CC too, or not, as you decide. What you always allow to do is to make a literal copy of all your content licensed with CC. If you use CC for your texts, you allow a full copy of your posts or pages. In a blog, this means that people are allowed to copy your article as it is, and paste it in their websites, linking to you. If they don't link to you, they're breaking the license. If you use copyright, they can't do this. They must comment something original of their own in their websites, and link to your post where people can read your content. There's a difference between use and abuse. If you use something with common sense and don't search for legal holes to take advantage over other people's work, then you do a proper use. Everything beyond that may not be illegal but it's an abuse. As Copyright License has been abused by some people that raged when someone copied a small phrase from their sites, many websites adopted CC license. What they wanted was just to allow someone to quote some part (but not all!) of their work, without fearing to be denounced. But unfortunately, CC license allows a FULL copy of your contents, and people do it. So they abuse the CC License. One must be really stupid to think that someone wants all their text contents copied. They did it to allow a part to be copied, not to fill your blog with their content. When you search for something in Google or other browsers, you get thousands of results that are the same content copied and pasted endlessly. As all the info you find is the same, the errors are the same. So you can't have your problem solved. The solution to your problem is buried in page 80 of Google's results. And you don't have the patience to go there. People with websites with the original source are outnumbered by the copiers that have abused their license to get visitors without working too much. Their websites with original content are ranked low because many times the original content is perceived as duplicated by search engines. Original content producers loose visitors. The copiers get high rankings. If you're going to use CC, think seriously if your content is suitable for that. If it's a manual or guide for an OS, for example, it may be great. But for other uses, think seriously in the harm you may be doing to us all. Also think, if you have a personal blog, if you would like someone to write a post using yours and adding things, and then say that it is based on you. You shouldn't use CC unless you want to flood Internet with copied articles, and make all our searches harder. Also consider that if you link to a post that is not the original author, or vote a copy or an article in social sites, you are encouraging people to copy, not to make original content that is what you really value. The solution is easy: as an user, go to the original author's website and vote it. Copyleft licenses like CC were created to allow sharing, but not to feed a legion of abusing idlers. 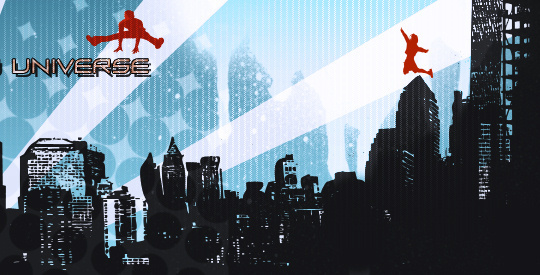 CC is just for photo promotion, manifests, self-promotion or shared image resources and manuals. Please, let's use licenses in its proper context. A CC may be applied to anything. There is also the possibility to license a 3D model or a virtual world under a CC license. You must be aware that some sites assume a CC license by default for all uploads. Depending on the CC license you choose, commercial use may be allowed. Again, for example a TV ad of a company, or a commercial 3D game. You will perceive no money back. Depending on the option you choose, derived works may be produced: this means using your model as a base of theirs, animate it or texture it differently. Again they must attribute you as author. I suggest not to have your 3D creations under CC, except if they are part of a public domain tutorial or course, because it can be easily abused. In addition, between the time in which an user downloads a digital asset and uses it, he/she may forget were it came from. This way, the content license can be easily abused, many times without intention. Those that allow them to use the content for anything for free, allowing distribution (free for all). Those that allow to use the content for personal use, without distribution allowed (freeware for personal use). Those that allow the use of the content for anything they wish, without right to distribute, for a quantity of money (commercial). Most 3D modelers proceed this way, and it is often suggested that you don't offer free content except if it's an accesory of a commercial 3D product you made (a free texture for a 3D model that you sell, for example), or something that will only be used by a very reduced number of people, or that may help people without resources or with serious problems (for example, a 3D model or virtual world for people with disabilities). Also, some content creators license models for free simply because these models don't reach a decent quality for being sold, or are models that are not well performed because the creator is in the process of learning something. Some people say that every artistic creation should be given for free if it can be digitalized. This is a misunderstanding of the ideals of certain utopians, and often this opinions come from people that have very good economical situation and will never have to worry about unemployment, like for example public university teachers. Obviously, you can produce something and give it for free, but it doesn't mean that it is free for you, because you are employing your time ( you could be doing anything else ), electricity, DSL costs, and hours of work, that is worth money. Telling people to work for no money is not being progressive, it's being elitist, esclavist or worse things. Giving everything for free may lead us to an unbalanced society with enormous social differences, where people with artistic talent and unusual skills can't earn for what they can do better than others, while the most rich parts of the society remain in mediocrity. And this is not really progressive, this is a journey to the darker ages of the past.